Earth is gone ... 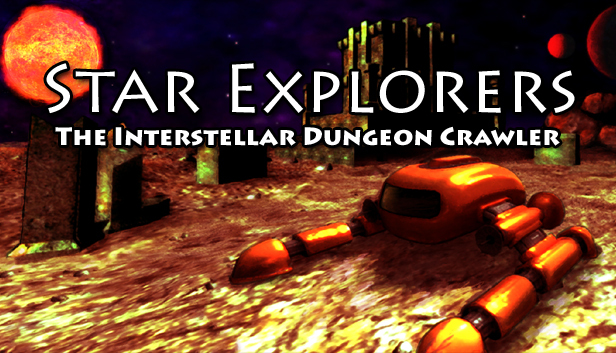 Humanity is faced with extinction ... Star Explorers is the interstellar dungeon crawler. Traverse a randomly generated galaxy in your own spacecraft, landing on planets, fighting aliens, finding resources, upgrading items, exploring caves, all while seeking out a new home for the human race. It might be too early to say, but I think I have successfully increased my game's selling plateau on Steam. I released my game back in May after one year of Early Access on Steam. As usual, there was a nice, albeit short, period of activity, followed by a plummet in sales until it plateaued at a slow trickle. However, recently, following the Halloween Sale on Steam, I have seen a marked increase in the daily sales figures. Normally with sales, there will be a spike in sales, but after the sale ends, it has always been accompanied by a drop back down to the default trickle (at least that's how my games have been behaving). Not so this time. Instead of dropping back down to four or five games selling each week, it now appears that the new normal is about four or five games selling per day. There are a number of things that I did before, during and after the Halloween Sale that could account for this perceived increase. One big factor in this bump may have been because of some efforts I made in re-branding my game. Initially, I used a rather sparse image on the Steam Store. I liked it, and felt it was elegant. However, it did little to do with the actual gameplay. 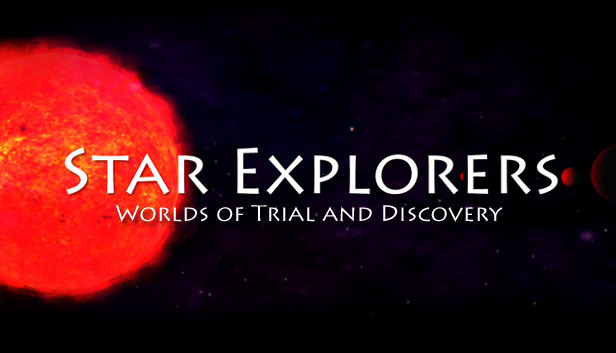 "Worlds of Trial and Discovery" sounds a bit intriguing and mysterious, but it tells you zero about the actual gameplay. Since mine is an action game that takes place in outer space, on planet surfaces, and inside caves and ancient ruins (among other places) a lot of the gameplay is based on exploring narrow places. For this reason, I decided to redub my game "The Interstellar Dungeon Crawler," and revise the game's branding image to match. This image is kind of loud and obnoxious. However, along with the name of the game, and the tagline, it tells you loads more about the game than the older version. As you will hear from other sources, you have about five seconds to grab people's attention when they see your game. If your name, tagline and branding image do not accomplish this, you will never get them to click on your game and watch your trailer, no matter how awesome your trailer happens to be. Thanks to a helpful Reddit user, I realized that there are a lot of very useful tags that you can apply to your game on the Steam Store. Finding simlar games and looking at the tags they have used is a helpful way to find tags for your own game. Be careful, using tags that do not accurately describe your game can have a negative effect. Just like showing a trailer with a bunch of beautiful cut-scenes that do not reflect the actual gameplay, fake tags may lead someone to buy your game who has no actual interest in it. They may feel cheated and leave a bad review. For me, I had a bunch of tags regarding outer space and procedural generation, but nothing with more basic information like First Person, 3D, Singleplayer etc... Before doing this, I had only 6 tags applied to my game. Now I have 32. That's more than five times as many tags, and five times as many searches that my game might show up in. Also, a lot of the original tags were words or phrases that I wrote myself. However, Steam has a list of "official" tags, that are more likely to be used by potential players. Make sure you use the Stream approved tags as much as possible. My game has been out for over a year (part of that time in Early Access) and I recently realized that it had generated enough activity to merit the creation of Steam Trading Cards. Seeing my opportunity with the Halloween Sale coming up, I spent a couple afternoons producing all the required artwork for cards, badges, backgrounds and emoticons. It takes a while, but I think the effort is worth it, as it adds a certain value to your game, especially to those interested in trading cards. If your game is relatively low in cost, trading cards may actually bring in new customers directly. However, I am thinking more abstractly. 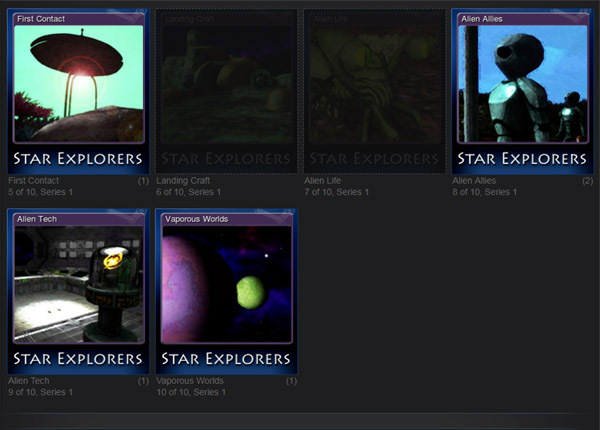 Trading cards are a way for people who might actually be interested in your game to have a chance to learn about it. My game is an ambitious project with procedurally generated content. As a result, there are many situations that are complex, difficult and sometimes impossible to test for a solo game developer. Having the game in Early Access was great, and allowed me to get honest feedback from players. I used this feedback to improve the game and streamline the user interface (UI) as much as possible. However, after releasing the game, I was still getting some bad reviews and negative feedback from certain players and curators. Rather than doing nothing about this, or fighting them, I took the long view, and decided to continue to update and improve my game. Being active on the game's Community Hub, posting announcements, and updating and improving the game are things you can do to create an environment of positivity around your game. Many developers are infamous for "taking the money and running" and I think this is not the image you want to project to your paying customers. I think of those people as supporters, who are making my life as a game developer possible. I want to be very careful of what I say and do with my game's content. Adding new content, fixing bugs and providing players with tutorials and more direct guidance are things any developer can do once their game is up and running. I've even talked people down from a bad review by quickly addressing, fixing, or explaining the bad experience they had. Remember, bad reviews can be used as positive feedback for how to improve your game. Don't get defensive, but humbly accept their criticism and use it to make a better game. All this effort seems to finally be paying off. Though the game had a somewhat slow opening, with some uncertain responses, it finally seems to be generating a bit more positive feedback and consistent sales figures. I plan to keep up with this effort until I feel like I've maximized the game's full potential. Recently, I added a brand new kind of "dungeon" to crawl in the form of enemy spaceships. You would think a space game would have enemy spaceships, and you'd be right. This is one place in which Star Explorers was unfortunately lacking. Adding spaceships to fight in outer space, and interiors to explore was like a nice gift I gave to my existing players for no extra cost. But it's something I've always wanted to have in the game anyway. Also, I just completed a major overhaul of the planet generation and reloading functions. Using pre-generated terrains cuts down on both time and potential errors when landing on planets. 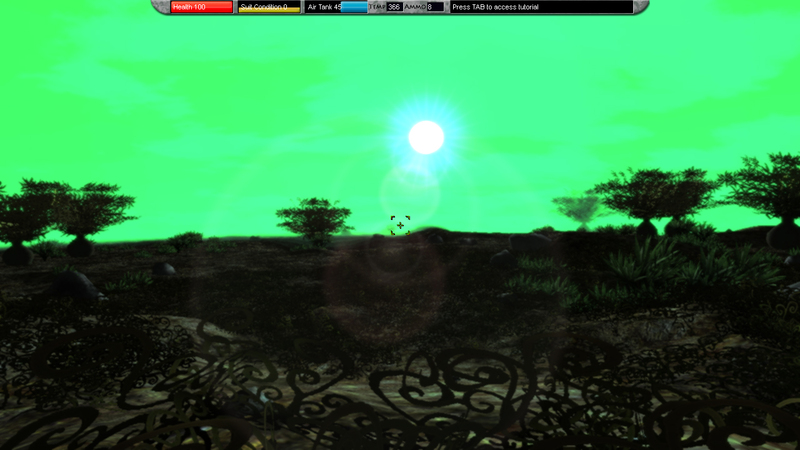 Improving the reloading function has significantly improved the speed at which a player may re-enter a particular planet's surface. This is especially helpful when that planet has many caves which the player must go in and out of seeking to fulfill the game's quests. Here is the dramatic difference in load times between the old version of the game, and the new beta 1.6 version up on Steam. The new version is available, but still being tested. I hope to have a fully tested and function version 2.0 out before the end of the year. There are many things you can do to help improve your game's sales figures. Advertising is not actually the best way to do this, as it costs quite a lot of money to pay for it. Since many people will be able to see your game on Steam, use that as the first place to improve your game's sales. 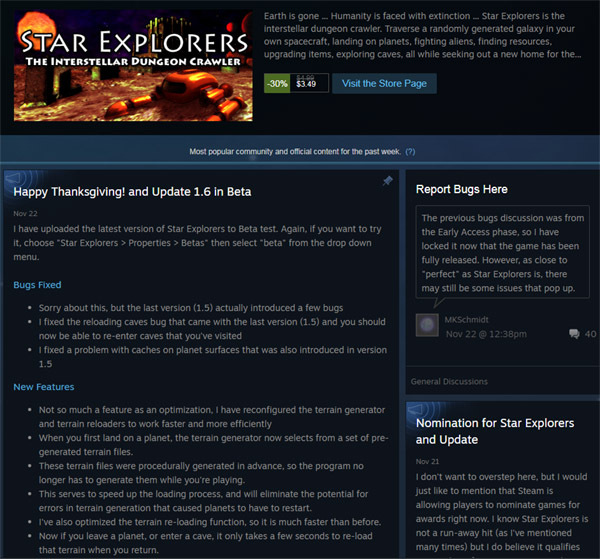 By examining your game's presence on the Steam Store, making sure it is tagged properly, using the best image and descriptions you can, and flushing it out with trading cards and frequent updates and support for players, you can directly effect the number of sales you are getting on a day to day basis. Nice article. I appreciate the input and sharing your experiences! Thanks. Cool article, thanks for the insight! Thanks for a great insight! This was helpful, thanks! Question: Do you enter your "tags" in the "Search Keywords" input field in Steamworks? Or would you consider this something different?